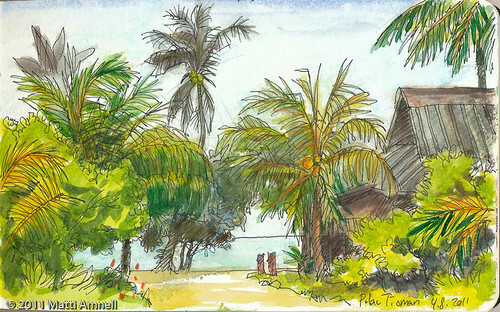 This entry was posted in Sketch of the day, Sketchbook, travel journal and tagged asia, ink, landscape, malaysia, travel journal, watercolour. Bookmark the permalink. got here from urbansketchers main site. how was your malaysia trip?